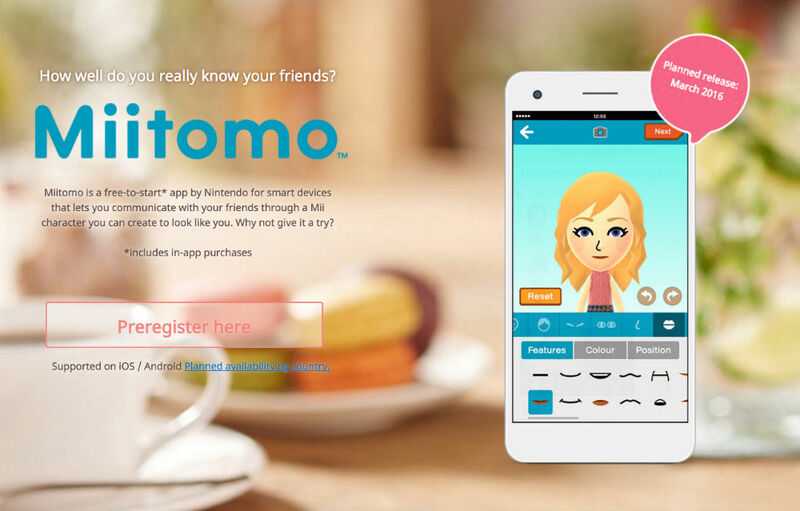 Preregistration for Nintendo’s upcoming Miitomo app is now live. In case you want to save your username for the service, now is the time to do so. If you have zero idea what Miitomo is, I don’t blame you. Announced late last year, Miitomo is the first of many mobile apps that Nintendo is creating. While we expect a few games to come from the company, the first app, Miitomo, is a communications app that uses digital Mii characters (like you would see on Wii) to let users interact with one another. Nintendo states that the app will be free to download, although, there will be in-app purchases. There is no info on what the IAPs will be used for, but it’s possible they could grant access to additional outfits for your Mii or things of that nature. To register, make sure you have a Nintendo account, which can be created here. Once complete, follow the preregistration link below to get started. It should only take a couple of minutes to complete. As soon as Miitomo is available on Google Play, we shall let you know. Thursday Poll: Have You Ever Run Out of Storage on a Phone?